The Classification Systems of Bordeaux - Discover the hidden gems of Food, Wine and a life well lived! Discover the hidden gems of Food, Wine and a life well lived! As a result of a request from Napoleon III for the 1855 Exposition Universelle in Paris, the wines of the Gironde region were ranked. The ‘1855 Classification’ produced a classification of 58 red wine producing estates, divided into 5 classes, or ‘crus’, and 21 white wine estates, divided into 2 crus. Although, since Château d’Yquem was labeled as Supérieur to the other members of its tier, some view the white wine classification as containing 3 levels. The classification originally contained 58 Château and it is the actual Château, not its vineyard holdings, that are ranked. Château can add to their vineyard holdings, as long as the new land is contained in their home appellation, and then include those grapes in their Grand Cru Classé wine. The classification currently holds 61 Château, as there have been three estates that have split into two or more properties, two estates combined into one estate and one Château that has disappeared. The classification was only revised once when, in 1973, after approximately 50 years of lobbying the French government, Château Mouton-Rothschild was elevated from Deuxième Cru to Premier Cru. The 1885 classification continues to remain relevant today. In fact, by and large, the Château owners seem content with the ranking of their wines, even in circumstances where their quality has increased relative to others. However, market forces have created an informal list of wines considered of high enough statue to compete quality wise with Premier Cru wines and refers to those as “super seconds”. The classification scheme for the wines of Saint-Émilion is more confusing than the 1855 Classification. Firstly, there is an official classification listing wines from the Saint-Émilion Grand Cru AOC as either Premier Grand Cru Classé (“PGCC”) or Grand Cru Classé (“GCC”). Among other factors, these wines are classified by a tasting of a selection of their recent vintages, picked from the last 10 years for GCC and 15 years for PGCC . Secondly, there are two appellations covering the same vineyard areas, the basic Saint-Émilion AOC and the Saint-Émilion Grand Cru AOC. In order to qualify for the Grand Cru AOC, a Château must 1.) produce a wine with 0.5% greater minimum alcohol , 2.) use slightly smaller yields than the base Saint-Émilion AOC, 3.) pick slightly riper grapes as measured by must weight and 4.) age the wines for an additional 13 months. However, these unclassified wines from the ‘Grand Cru’ AOC have no ranking component. The 2012 classification contains 18 Premiers Grands Crus Classés and 64 Grands Crus Classés, with 4 of the 18 Premiers being placed in the ‘A’ sub-category, although most producers simply list “1er Grand Cru Classé” on their labels. The other 16 Premiers are nominally deemed to be in a ‘B’ sub-category, although that is not officially stated in the current 2012 classification documentation, nor is it currently, to the best of my knowledge, displayed this way on a label. Listings of the older classifications from the Saint-Émilion Wine Council do show a Premier Grand Cru Classé category ‘B’. The official document for the 2012 classification states “The commission may award distinctions (A and B) to wines for Premier GCC status”, however the appendix listing the PGCC wines only highlights the 4 chosen as “A” and does not label the other 16 wines as “B”. According the website at http://www.saint-emilion-tourisme.com/uk/1-discover/28-the-vineyard-of-saint-emilion/14-an-international-reputation.html , the classification is “re-examined every 10 years and encourages winegrowers to come up to excellence.” A wine commission of 7 people working in the wine-area, outside the Bordeaux region rigorously examines wines. In addition to tasting, they examine the methods adopted in the vineyards and in the cellars, the political communication and distribution in France & abroad and the reputation of the wine estates. New vineyard land cannot be brought into production during the classification without prior authorization from the INAO. Unlike the 1855 classification, the Saint-Émilion classification is revised and the goal is to make it more relevant. However, its revisions have caused producer dissent, possibly detracting from that goal. In 1953, the INAO, at the request of the Syndicat de defense de l’appellation des Graves, established a classification of the wines of Graves. The ratings were officially ratified in 1958 and updated in 1959, therefore it is officially known at the 1959 Classification of Graves. Both white and red wines were included. Château, not vineyard, was granted the rating. A total of 16 ‘Crus’ were awarded to Château, 7 that produced only red wine, 3 that produced only white wine, and 6 that both produced reds and whites. Château Laville-Haut-Brion has ceased producing its white and that vineyard is now bottled as Château La Mission-Haut-Brion Blanc. There is only one classification level, no hierarchy and it is not subject to revision. Interestingly, all the estates are located in the Pessac-Léognan AOC, which wasn’t established until 1987, well after the publication of the classification. Many industry pundits believe this classification to be less useful than either the 1855 or Saint-Émilion classifications. Sign me up for the free Uncorked Gourmet newsletter! 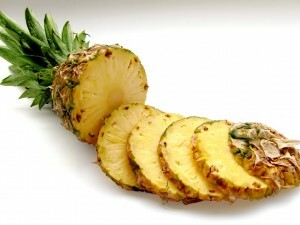 Tickle your taste buds with a Grilled Pineapple dessert! Is the Nantucket Wine Festival the best wine festival in the U.S.? Would Victoria & Albert’s earn a 3 star Michelin rating? Should I buy Vintage or Non-Vintage Champagne? Francisco J More on Would Victoria & Albert’s earn a 3 star Michelin rating? Roy Jay on Is the Nantucket Wine Festival the best wine festival in the U.S.? Discover the hidden gems of Food, Wine and a life well lived! The Uncorked Gourmet serves it up daily just for you. Copyright 2015 by ArcaMax Publishing, Inc.